FBU is getting behind World Mental Health Day and seeks to raise awareness of issues that in many circumstances are simply not spoken about. World Mental Health Day is a day for global mental health education, awareness and advocacy against social stigma and at Family Business United ('FBU') we are using the day to share articles and insights on topics that can have an impact not just on families and families in business but the broader stakeholder base too. As a resource centre FBU prides itself on publishing content that helps address issues, provides a starting point for a conversation that can ultimately make a difference to a life, and help to build better long term relationships too. As Paul Andrews adds, "World Mental Health Day should resonate with us all as at some stage in life our mental health will be affected and we should all be aware of the fact that not everyone has the power to recover fully and their mental health can be affected. Illness, addiction, death and depression are often taboo subjects yet they affect many people and we are going to use World Mental Health Day to try and share content that might make a difference and help to dispel some of the stigma that surrounds mental health." "Health and well-being are vitally important topics for everyone to be aware of and subjects that should be discussed and we are happy to get involved and raise awareness of the subject in the broader family business community too." 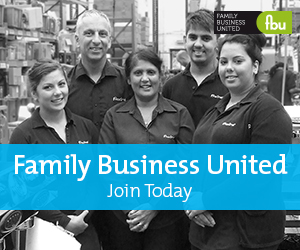 If you have any articles on topics that you feel may help awareness in this area and would be happy for us to publish and share as part of our campaign to support well-being and mental health, please do send them to paul@familybusinessunited.co.uk and together we can strive to make a difference.